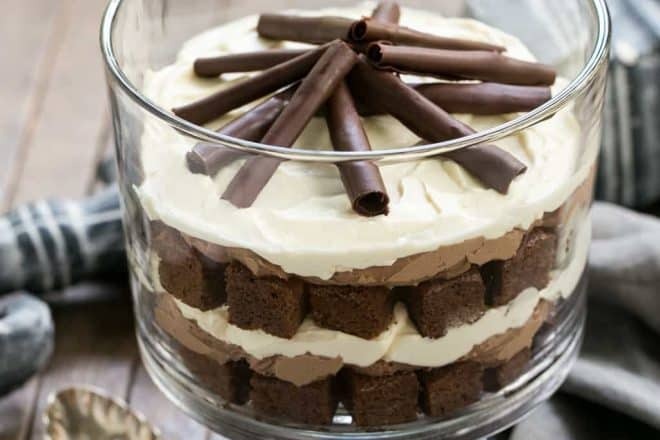 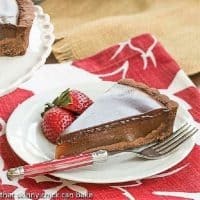 This Chocolate Mousse Cake is perfect for any celebration! 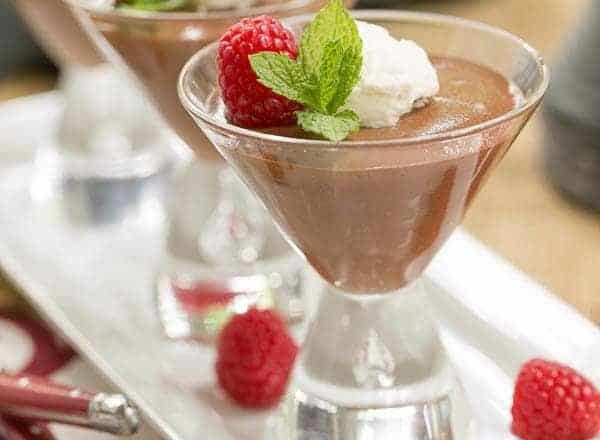 The mousse is deliciously rich and creamy, and there is absolutely no baking involved! 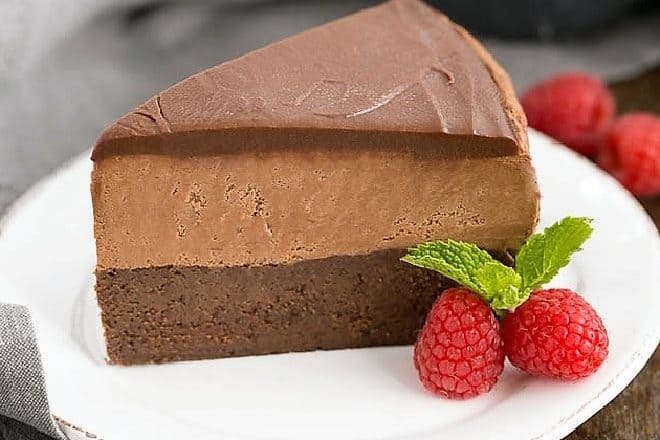 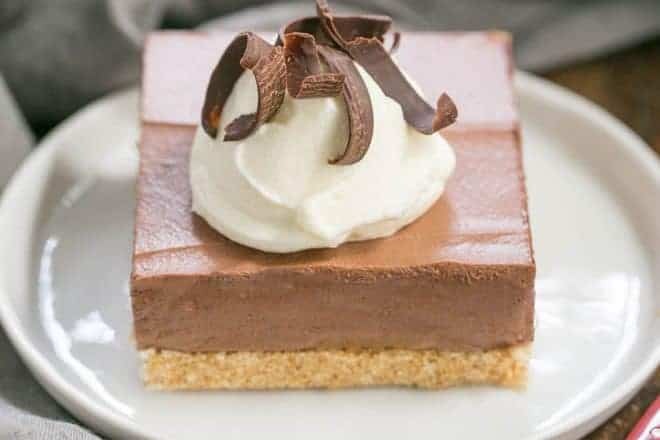 This Easy Chocolate Mousse Tart is egg-free and no-bake! 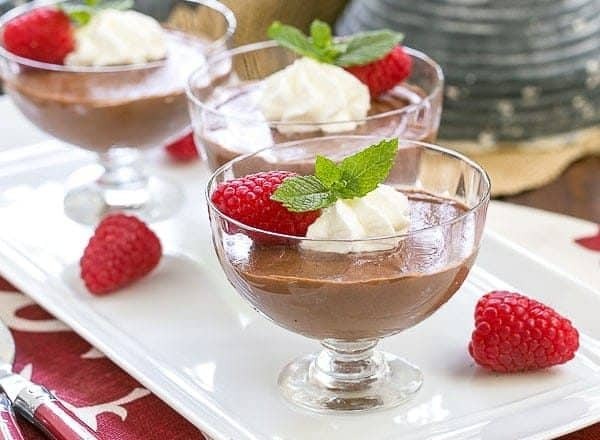 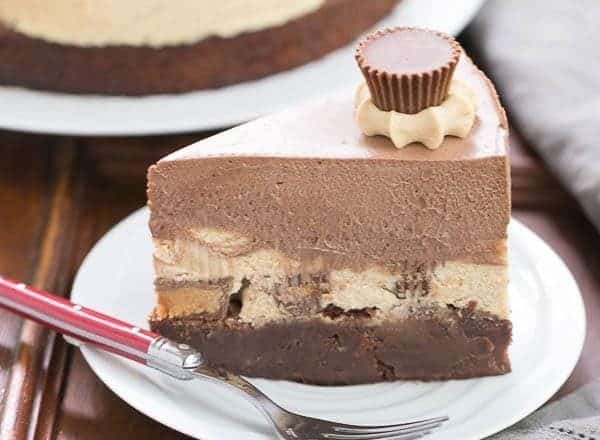 Just stock up on heavy cream and chocolate and you’ll be ready to create this easy, decadent chocolate dessert recipe. 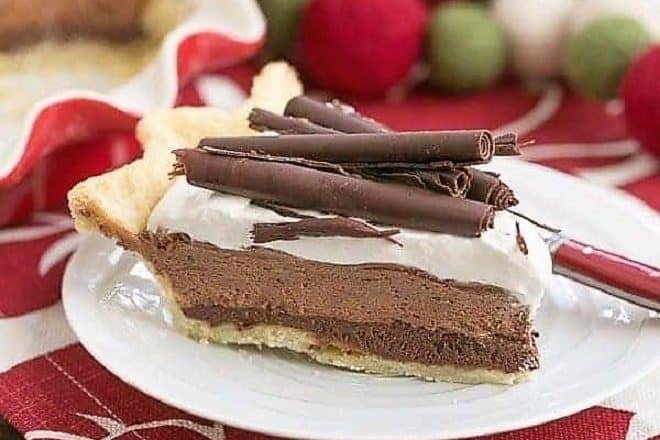 Bill was hankering for a Father’s Day pie, so I created this Triple Chocolate Mouse Pie in his honor. 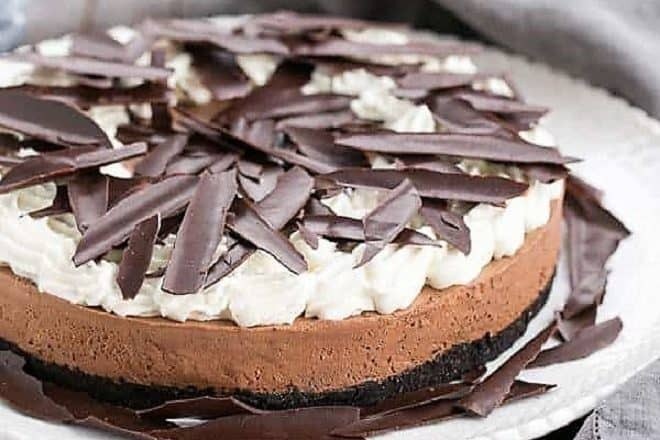 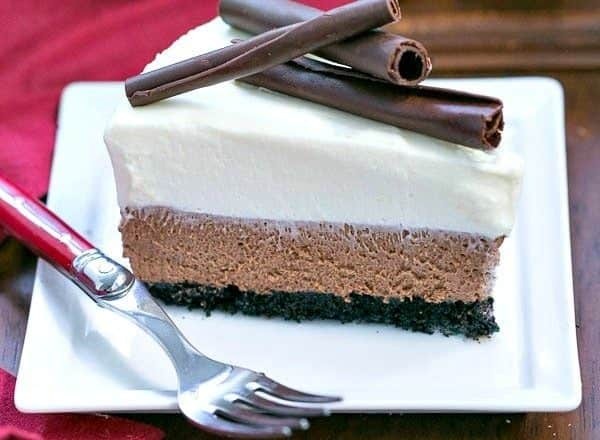 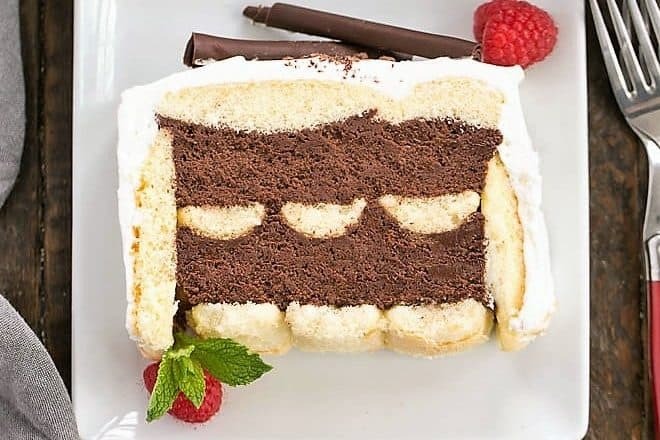 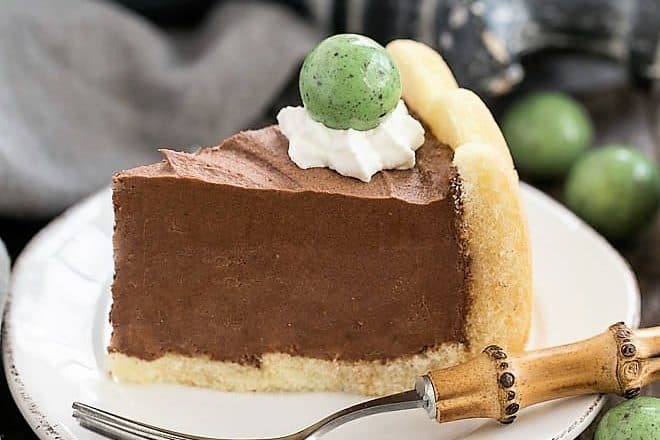 With a chocolate crust, chocolate mousse, and white chocolate mousse, it’s a chocolate lover’s dream! 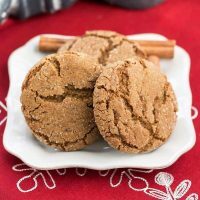 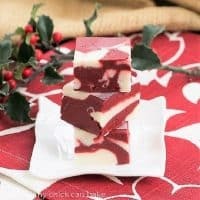 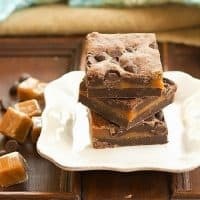 I dug deep into my recipe files for this family favorite dessert. 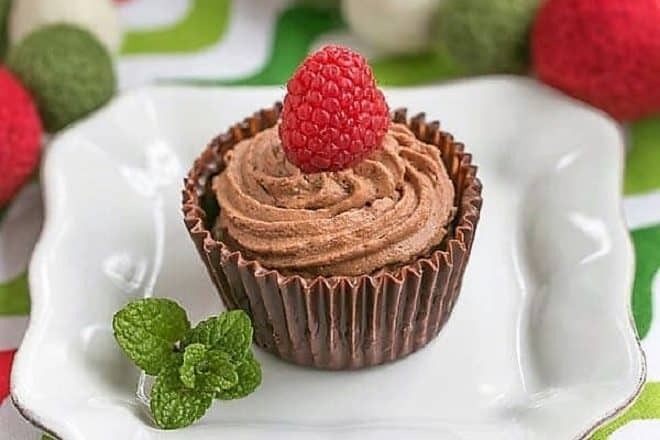 These Chocolate Mousse Cups provide a double dose of decadence with a semi-sweet shell filled with silky cream cheese chocolate mousse.